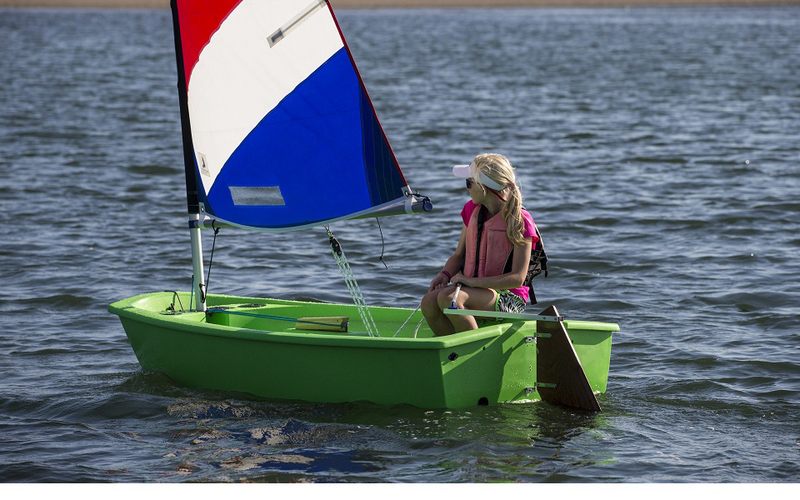 The World Wide Sailor Pram is a durable, self-bailing dinghy that is a perfect training boat for beginner sailors. 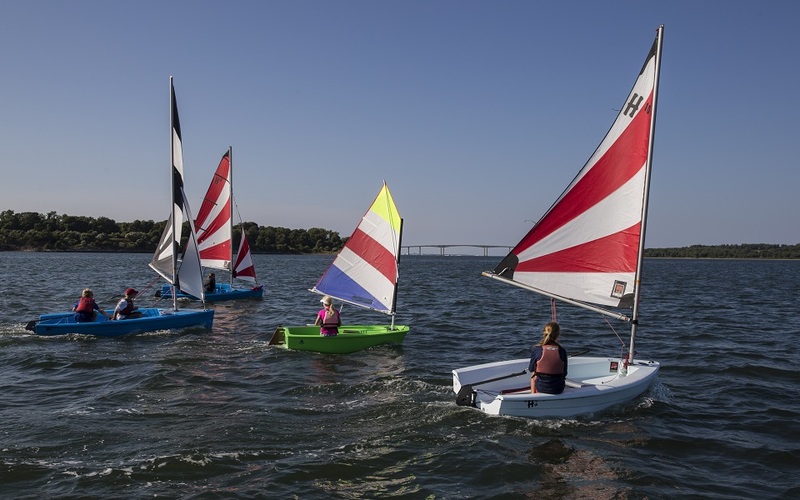 The simple design is very low maintenance, and offers a platform very similar to an Optimist for kids to get excited about sailing. Fed up with expensive fiberglass repairs? 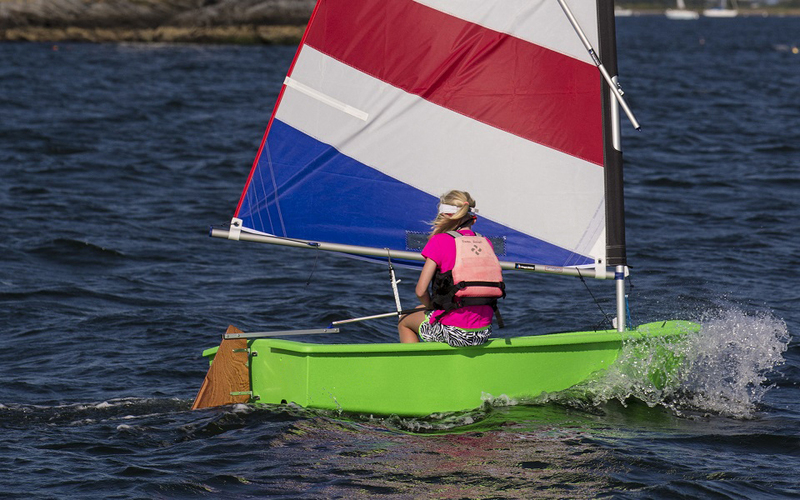 The WWS Pram's polyethylene hull is nearly indestructible and will withstand the tough use that a beginner program boat takes. With no air bags or sail ties to worry about, and a nearly dry boat after capsize recovery, programs and individuals will love to ease of use with these pram trainers. Many Optiparts fittings including spars and blades can be used.